Pilot Miranda Marlowe is too sick to fly her plane, and she must face the truth: she’s pregnant! 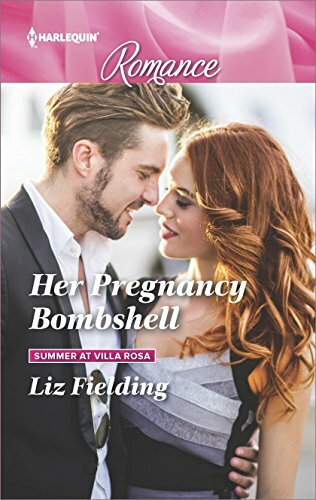 She knows well enough that her boss, Cleve Finch, is still grieving for his late wife, so to think, she heads to her sister’s new inheritance, Villa Rosa. I liked this book and didn’t like this book. I feel conflicted. I’m not a huge fan of the hero having a dead wife and acting like he is grieving to the outside world when in fact he wasn’t happy in the marriage and not destroyed by her death. I did like Miranda – she’s tough, knows what she wants and isn’t going to settle for second place. I probably would have liked the story better if Cleve had told Miranda the truth about his relationship with his late wife and about his feelings earlier in the book.